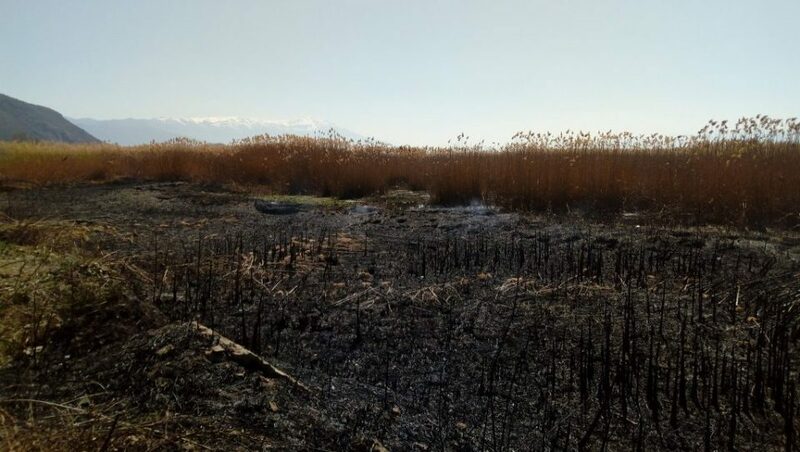 Citizens and environmentalist groups from Struga and Ohrid are warning that more fires are being started each week in the reeds along lake Ohrid. This is often done by developers, who plant fires in order to clear the beaches for construction. The latest fire was reported yesterday near the village of Kaliste, which is a popular tourist resort. Firefighters from Struga managed to stop it spreading and consuming most of the reeds. A large fire was reported two weeks ago and it consumed a large area, without intervention from local authorities. A month ago, a similar fire was followed by construction work as soon as the flames were out.